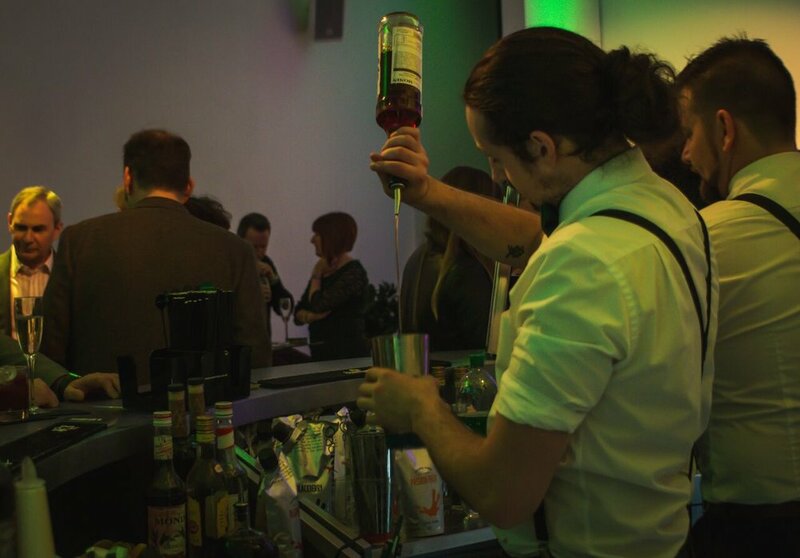 On Thursday 22nd we invited 100 guests to an exclusive Showcase event at The White Space in Soho, London. We transformed the blank canvas location into an elegant and exciting event space complete with pop up bars, lighting, balloon structure, giant martini glass, event furniture, waiting staff and flair bartenders. We installed a Gin Garden Bar into the first part of the venue with four metres of rustic wooden bar. Here we served a Pimp My Prosecco package and delicious Gin and Tonic pairings using Tower Bridge Gin, laced with botanicals. We also had branded Craft Beer using the Zest Mixology logo printed onto the bottle label. If you are interested in any of the elements featured on our Showcase event and would like us to recreate this for you then GET IN TOUCH with us for a bespoke quote.